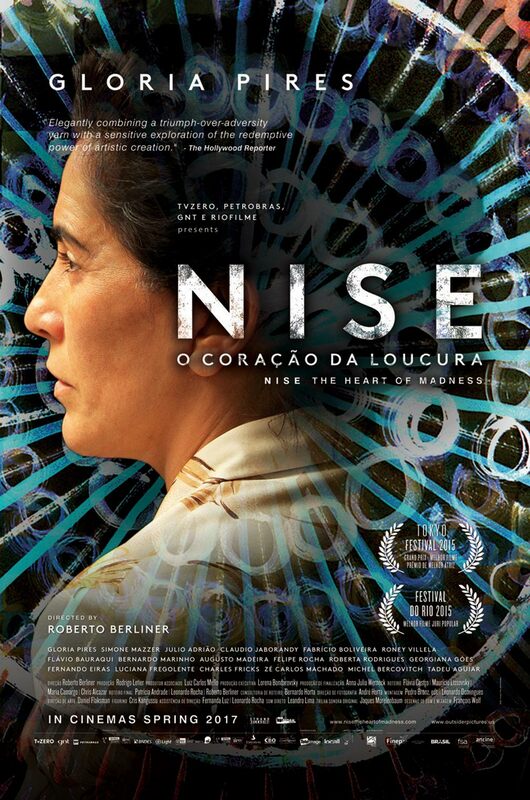 Strand Theatre - Vicksburg: Nise, Brazilian drama about the power of art..
Nise, Brazilian drama about the power of art..
Gloria Pires, a famed Brazilian Globo telenovela and film actress, stars as Dr. Nise da Silveira, who in the 1940's, leads a revolution in psychiatric care in Brazil. Her weapons: canvases, paints and brushes. Among her faithful allies; cats and dogs. Dr. Nise da Silveira is back at work in a psychiatric hospital on the outskirts of Rio de Janeiro and refuses to employ the new and violent electroshock for the treatment of schizophrenics. Ridiculed by doctors, she is forced to take the abandoned Sector for Occupational Therapy, where she starts a revolution through paints, dogs and love.